Born in 1933, The ReMarker student newspaper has long been the editorial voice and reliable foundation of news on campus. Lauded at the national level by both the Columbia Scholastic Press Association and the National Scholastic Press Association, The ReMarker prides itself most on community impact and readability. Published seven times annually by a staff of more than 50 students, the newspaper covers topics and issues relevant to the entire school community ranging from news and feature stories to opinion pieces about school issues and culture. Led by an editor-in-chief and a seven-member editorial board, students direct all phases of the publication’s production, including story development, writing and reporting, layout and graphic design, photography, and business operations. 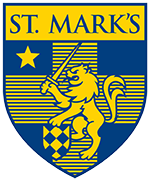 Advised by Gene & Alice Oltrogge Master Teacher Ray Westbrook, who also advises the school’s yearbook, the Marksmen, The ReMarker continues to fill the campus with issue-driven stories of interest and relevance to the entire St. Mark’s community.